As you can see, I kind of died down on the updates. That's primarily because there wasn't much progress. On the Friday of my week off, I completed laying out the full tiles on the wall under the window... only to discover I'd put them on wonky. Now a couple of mm out isn't too bad, but I was out by about 1cm. As you can imagine this look aweful, so off they came. Instead I tiled the wall above the bath. 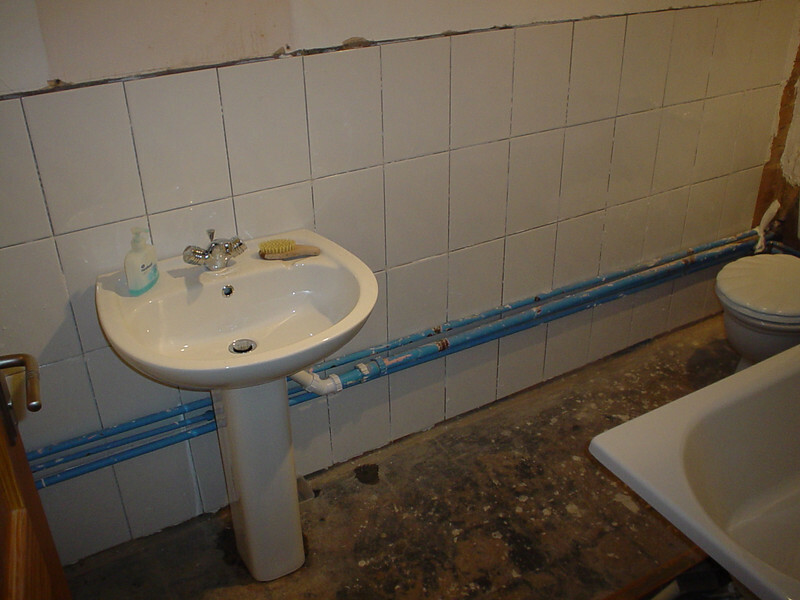 That was pretty much the end of progress on the bathroom last week. With both the long walls tiles, I can now tile the window wall and ensure that both sides match up correctly. This weekend we're back on bathroom duty. The bathroom suite got delivered yesterday, so I got cracking putting it in. I ended up having a couple of trips to the DIY show to get a couple of things as I encountered a few problems on the way. 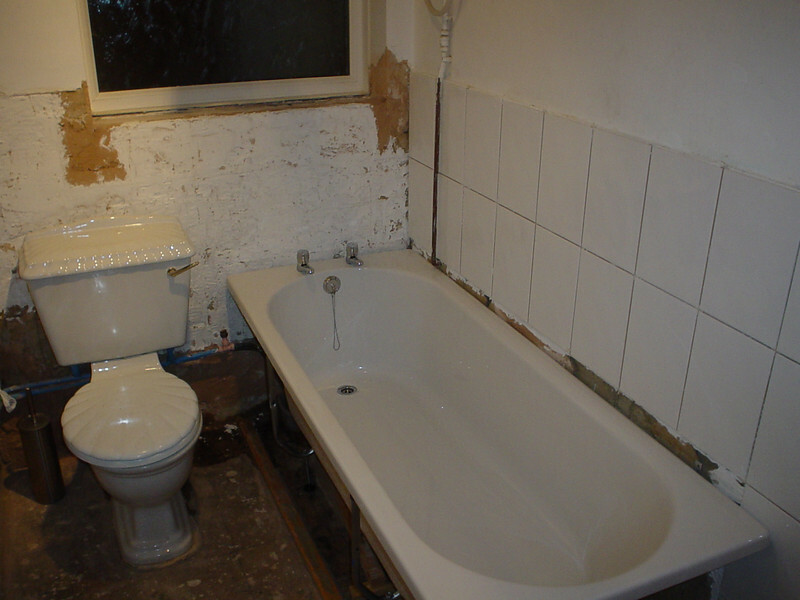 By the end of the day, it was all starting to look like a new bathroom. I'd managed to put in the bath and the basin yesterday. I've got a couple of leaks to sort out, but otherwise all went well. All that needs to be put in now is the new loo, which I'll probably do this afternoon or tomorrow.